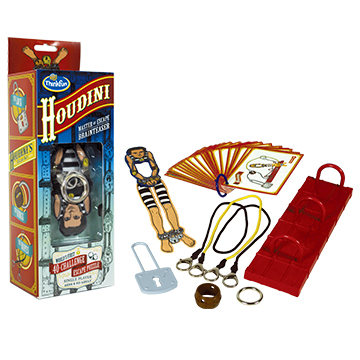 Master of Escape Brainteaser: Follow each challenge card to lock up Houdini and work your magic to set him free! Houdini, the world famous master mystifier and escape artist extraordinaire, thrilled audiences with his daring and often dangerous escapes! Now you can be a part of the magic as you solve these forty perplexing challenges.